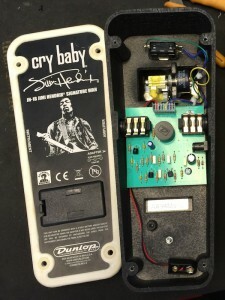 For a long time since rescuing the Crybaby brand from Thomas Organ in 1981, Dunlop kept to producing just the one model – the GCB-95 Crybaby. There were a bunch of circuit and construction revisions over the years, of course, but for the most part the GCB-95 remained the sole model. In the ’90s, Dunlop started expanding the line – releasing the 535 (later 535Q) and 95Q, as well as bass versions. 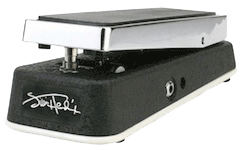 There was also a ”Jimi Hendrix” model (JH-1, which is now called JH-1D), which we established elsewhere on this site was actually a GCB-95 with one capacitor changed to a different value (0.022uF over the stock 0.01uF). Enter the 2000’s, and the picture has changed dramatically. Dunlop still produces the regular GCB-95, of course (which at the time of writing has reached Revision I), but also a whole host of artist signature models. Many of them seem to be based on the GCB-95, using the same circuit board but with choice tweaks. The ZW-45, for instance (pictured to the right), is basically a JH-1, but came with the red Fasel inductor – which the regular GCB-95 didn’t get until the current Revision I model. Once a sign of exclusivity, that inductor is now installed in all wahs using the GCB-95 circuit board – most likely, it makes more economic sense to just have one type of a specific part, and order larger amounts of them. 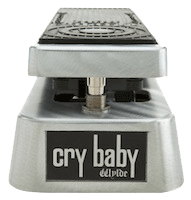 The pedal’s outer aesthetics is obviously intended to remind us of the old JEN/Thomas Organ/Vox Crybaby models of the late ’60s, with the frosted finish and white piping around the bottom plate. Inside, we find the GCB-95 circuit board (this one is the Revision H model – current ones should be Revision I and come with the red Fasel inductor). So what’s different about it, then? The capacitor change moves the wah sweep into a lower range compared to the regular GCB-95, while the slightly higher resistor value makes it slightly less loud. But those are the only differences between this and a (much cheaper) stock GCB-95 Crybaby. And compared to the JH-1/JH-1D, the only difference is the 470 ohm gain resistor. The bypass is still the same ”hardwire” system as used in the GCB-95 etc (which is to be expected, since that circuit board isn’t set up for true bypass wiring). Catchy name, that 🙂 This one is a special run with gloss (rather than frosted) black shell. Inside, we again find the GCB-95 circuit board – this time the Revision I version, with the red Fasel inductor. The 0.022uF sweep capacitor is again present, but this time the gain resistor for Q1 is the more common 390 ohms (same as in the JH-1D). 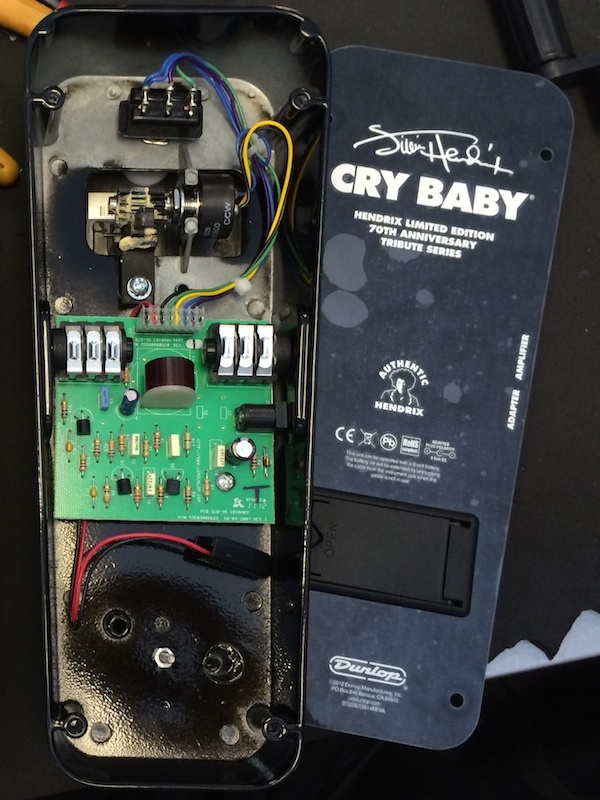 So this looks like it’s a regular JH-1D in a (limited run?) special shell. And again, you can turn your (much cheaper) regular GCB-95 into this one, this time by simply replacing the 0.01uF sweep capacitor with a 0.022uF. If your pedal isn’t new enough to have come with the red Fasel, you could install that too. This page shows you how to do that, among other things. Interestingly, this particular pedal had a DPDT switch, rather than the SPDT switch more commonly found in the GCB-95 and its siblings. 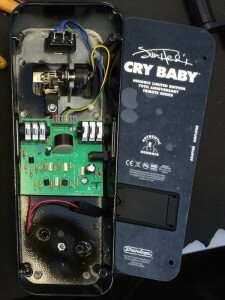 But rather than use that switch to wire the pedal for true bypass – which to be fair to Dunlop would have required a redesign of the circuit board and wiring harness – they’ve wired it as an SPDT. 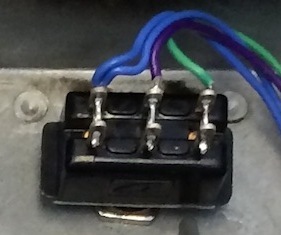 Each wire crosses over to the corresponding solder lug on the second row, but they wouldn’t need to – you could easily remove the connections and use the other half of the switch for an LED. 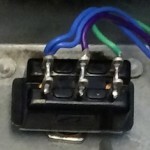 Or better yet wire the pedal for true bypass (since this is essentially a GCB-95, this page has all the info needed). Volume box for a tube amp's effects loop - does it work?